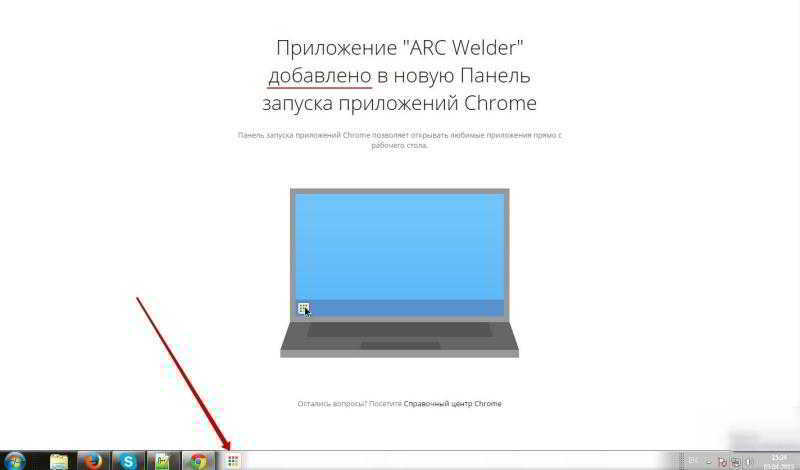 This page provides a detailed step-by-step manual how to install ARC Welder on your desktop or laptop. The browser checks the extension compatibility with your Google Chrome version and asked to confirm. 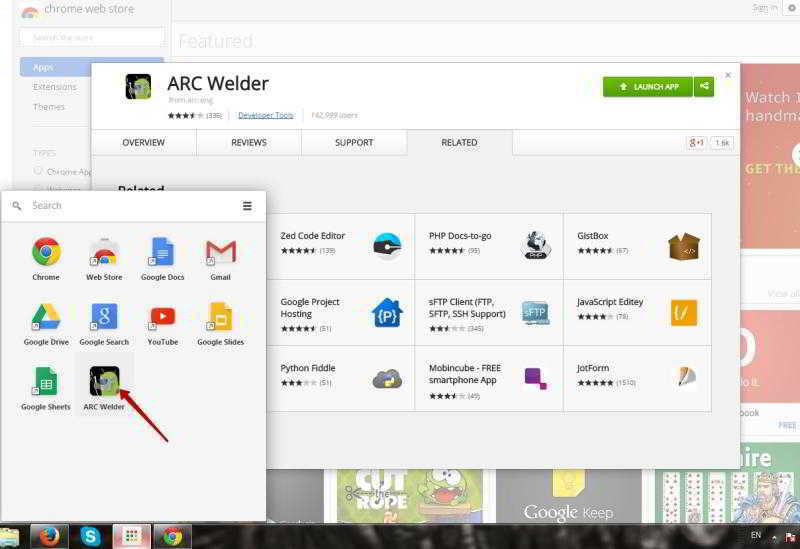 If you have not installed any extensions for Google Chrome yet, you can see "App Launcher Chrome" in the taskbar after installing ARC Welder. 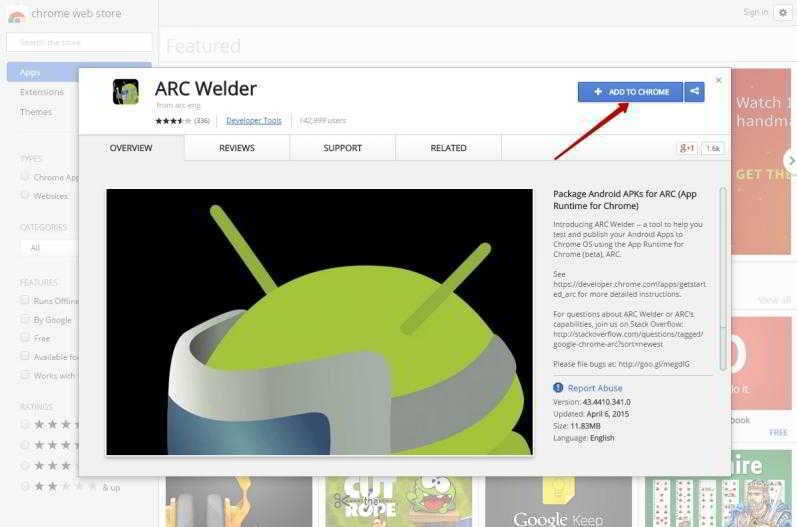 By clicking on it, you can see all the applications, installed for Google Chrome. 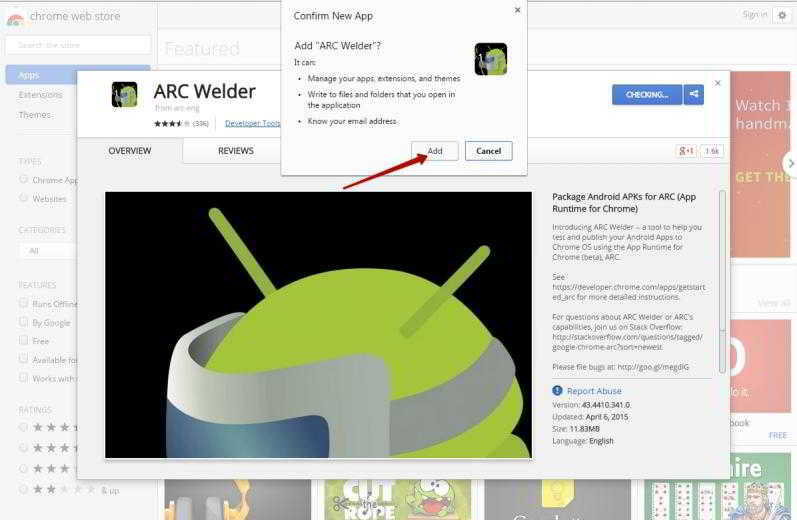 Open the "App Launcher Chrome" and click on the ARC Welder icon. 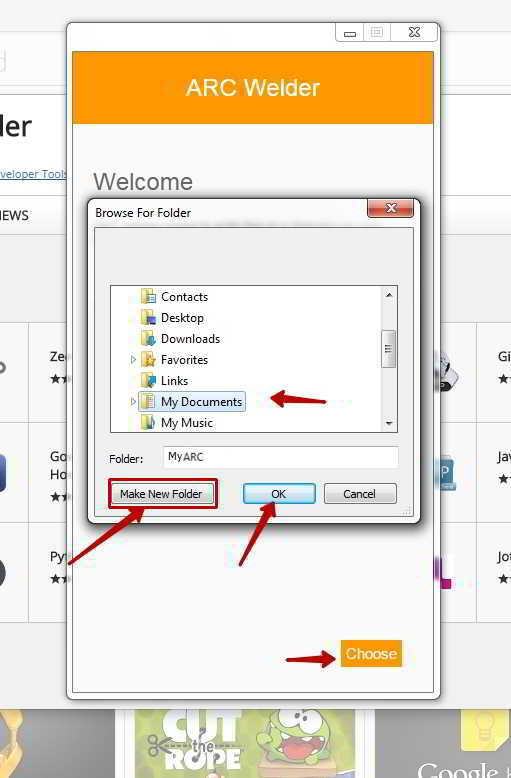 Select the folder for the application data records. 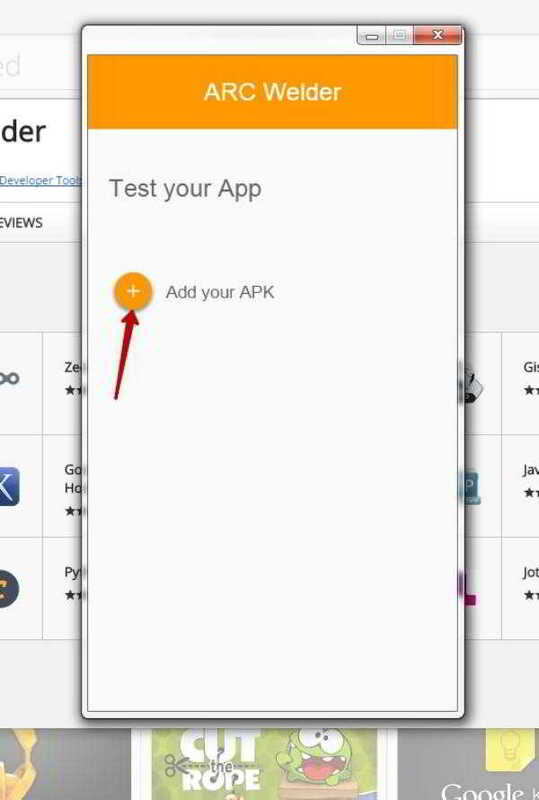 Click "OK"
Then you only need to add an apk file to your application. 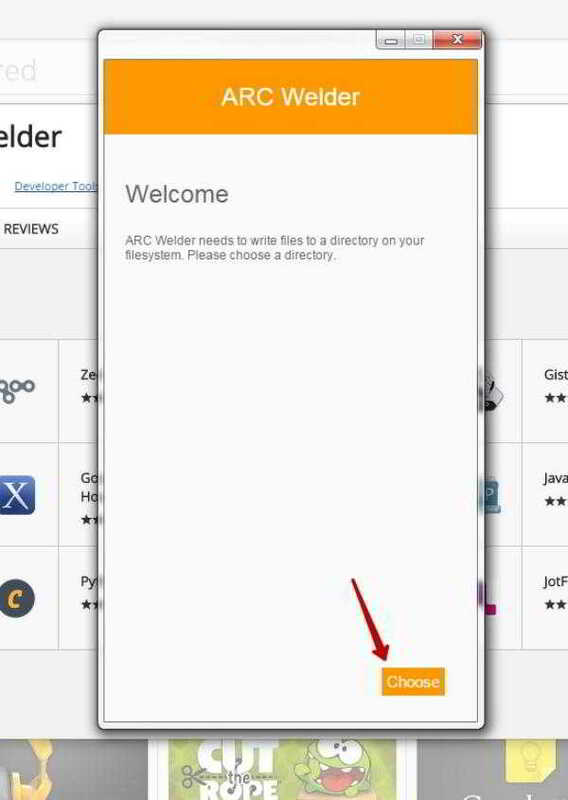 Press "+" and select your apk file.